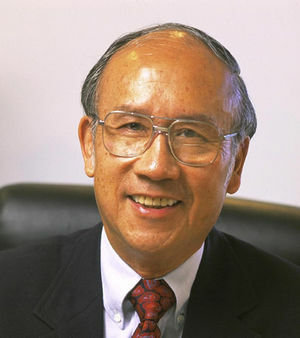 One of the most well-known individuals in optical fiber communications, Tingye Li has shaped the lightwave network infrastructure we know today. With a career spanning over 50 years, Dr. Li’s technical contributions, insight and leadership have led to innovations and advancements resulting in high-speed commercial telecommunication transmission systems. Optical fiber technology enables a huge increase in transmission capacity compared to copper-wire and radio-wave methods and provides the capacity to accommodate ever-increasing amounts of Internet traffic. Among Dr. Li’s many technical contributions was his work with Gardner Fox in the early 1960s that formulated the fundamental concepts of laser resonator modes, demonstrating that an electromagnetic wave bouncing back and forth between a pair of mirrors can resonate for a number of modes of energy distribution. This work was the first to show that an open-sided resonator containing a laser medium has unique transverse modes of resonance, which was fundamental to laser theory and practice. Retired from AT&T, Dr. Li is now an independent consultant who serves on the board of directors of several optical component and systems companies.